The most dependable 2-pack system to protect your firearms. NTOA member tested and recommended. 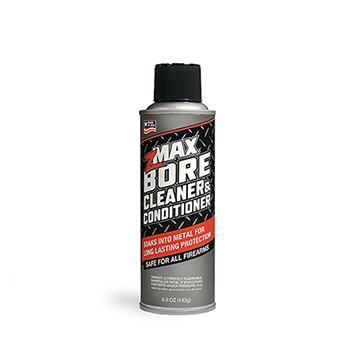 Includes 1.5oz Bolt Lube and 1.5oz Bore Cleaner and Conditioner. Safe for use on all firearms. Make sure firearm is clear and unloaded. Apply liberally. Wipe down. Repeat as needed. From B. Donnelly of Atlanta, Georgia on 1/30/2018 . 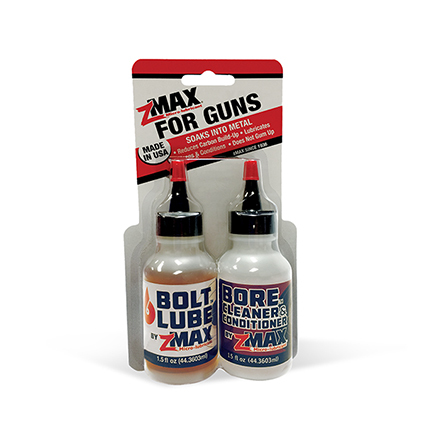 As an owner of 11 AR-15 rifles, my range days are more enjoyable and productive with zMAX. It boosts my longevity and reliability. From R. Ruyle of Denver, Colorado on 12/7/2016 . 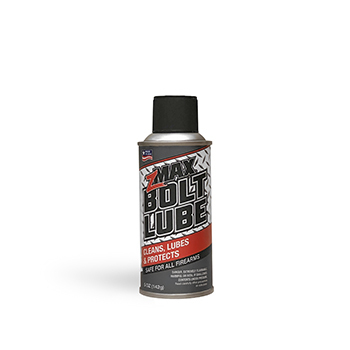 Started using zMAX in my vehicles and race cars 15 years ago. Been using it in my firearms for 10 years. Helps maintain performance. After 6000 rounds on my 22-250, the Chronograph shows no lost performance. zMAX removes build-up and cleans inside of the barrel better than anything on the market. Cuts down on rust when I take my guns out in the rain or snow. Response from zMAX: another 15+ year zMAX customer. WOW!